Of all the Eight Essentials, fitness seems to be the hardest one for people to integrate into their lives. Why? Because we’ve been taught to think of fitness as a chore, and not as an essential part of our life. Something that’s unpleasant at best, painful at worst but needs to be endured because it’s what we should do. Part of the problem is that we often do not have a clear definition of what fitness is. To be clear, fitness as I use it here is a state of health and well-being that is achieved through a healthy diet, consistent moderate physical activity, and sufficient rest. 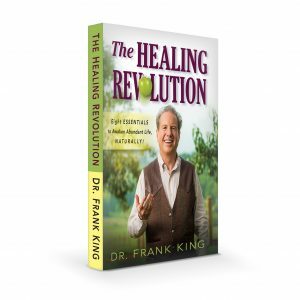 The Healing Revolution® will transform the way you look at fitness. It will help you return to using your body the way it’s intended. And you’ll reap the rewards. Find an activity you love. It might be a brisk walk in the middle of your workday. Or it might be yoga classes or tai chi. Whatever it is, find something that brings you joy, and stick with it. Start small. Don’t think you need to be at the gym five days a week in order to make a change. A 20-minute walk three times a week is a great place to start. Try my Energizing Techniques. If I could only do one set of exercises for the rest of my life, it would be these. They’re just that powerful. Practice good posture. If you feel yourself slumping, imagine the top of your head is being pulled up by a string. Breathe deeply. Oxygen (or vitamin O, as I like to call it) is free and abundant. Take advantage! Fitness doesn’t have to be a chore. Making small choices today can put you on the path to a healthier tomorrow.